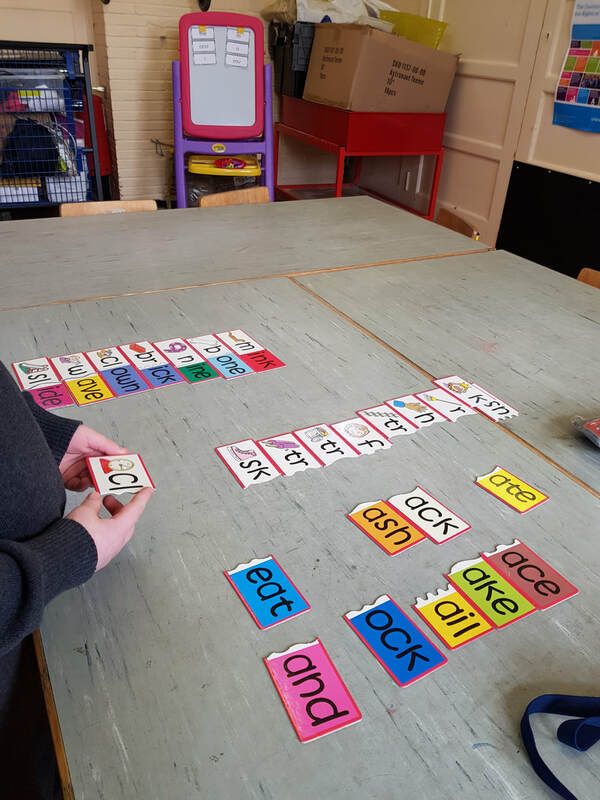 Word puzzles and games are great ways for children to explore connections and patterns. 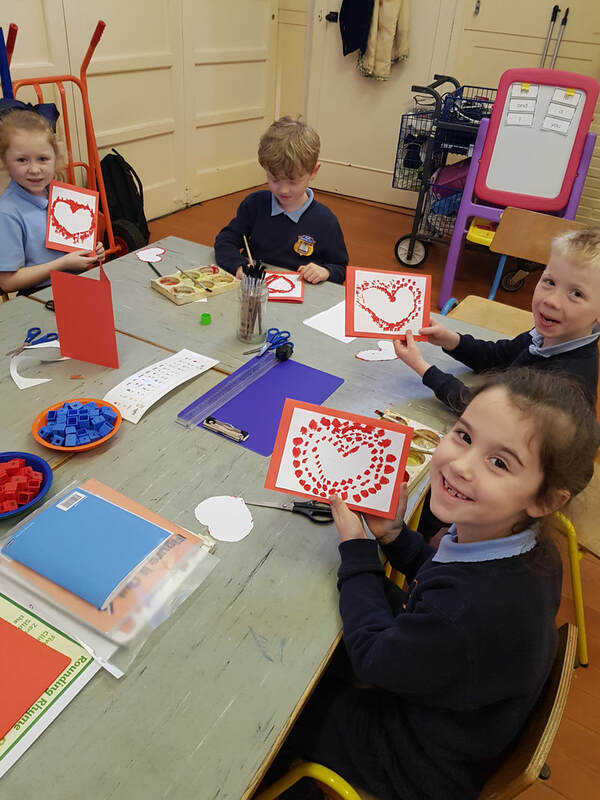 Oh and it's fun too! 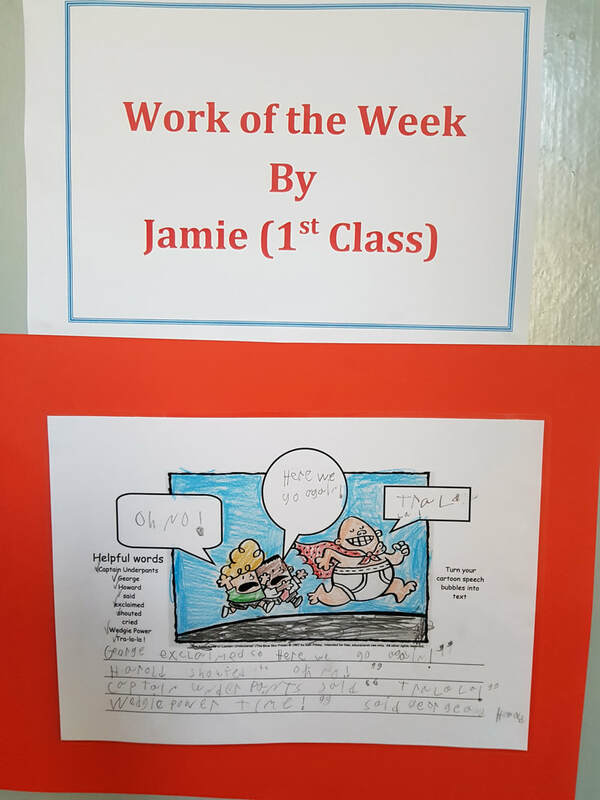 Jamie turned his cartoon speech bubbles into a text. He focused on using speech marks, CAPITAL LETTERS for names and at the beginning of sentences. He also used quite a few exclamation marks which added excitement to his text! 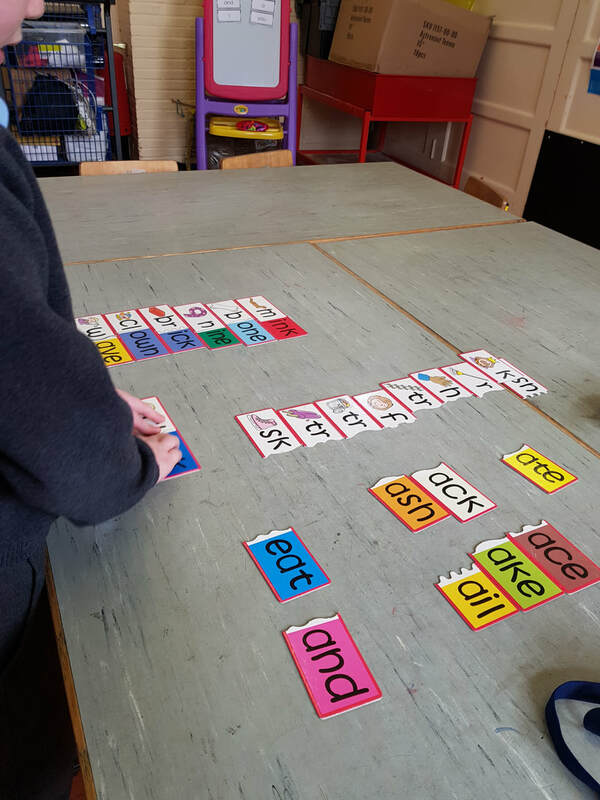 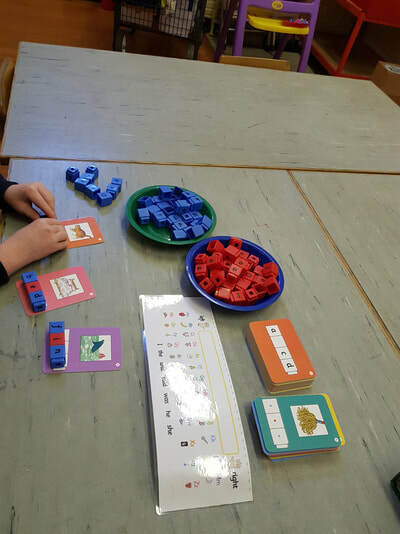 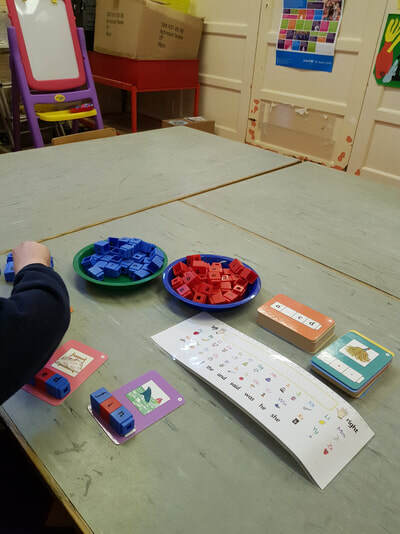 This week 1st and 2nd classes were learning CVC words and CVCe words. 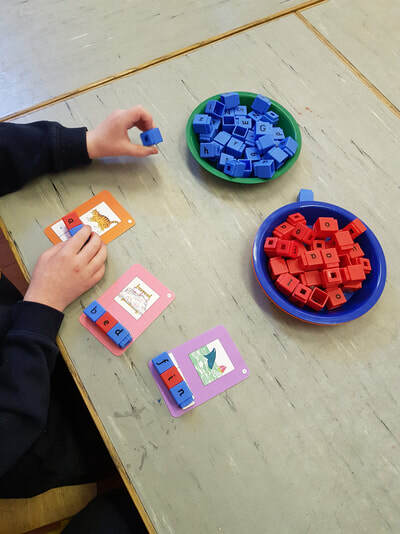 We used lots of activities to identify and learn about vowel and consonant groups. Towards the end of the week we even played 'Countdown' from the TV programme! 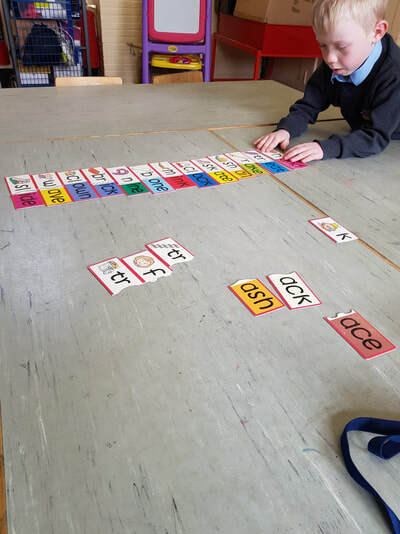 Every Friday, 1st and 2nd Classes do an extra activity with Ms O'Farrell on full completion of their spellings homework throughout the week. 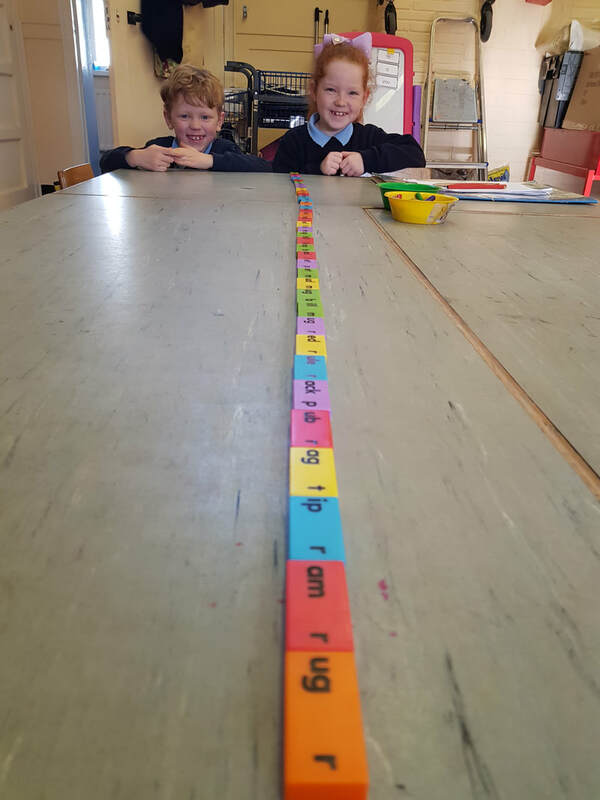 Since Christmas, their homework completion rates have improved 100%. 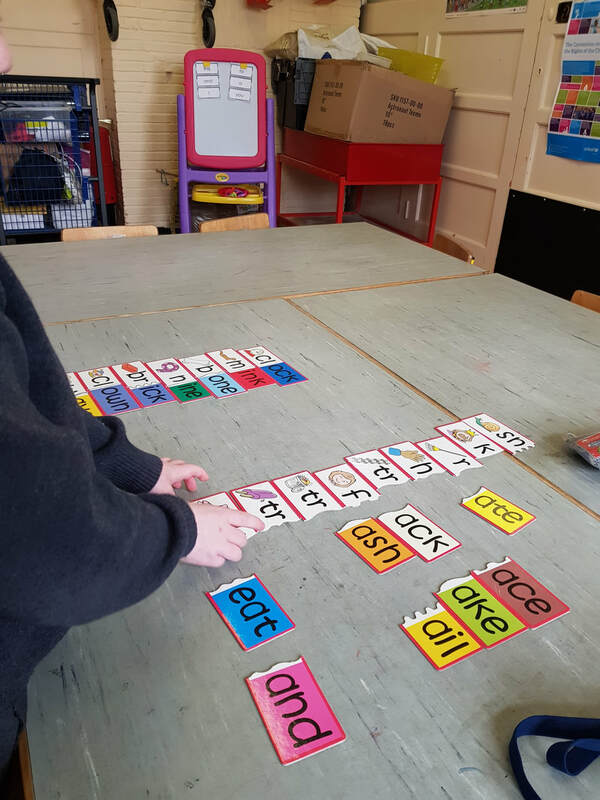 We can all see the improvements in the children's writing and reading. 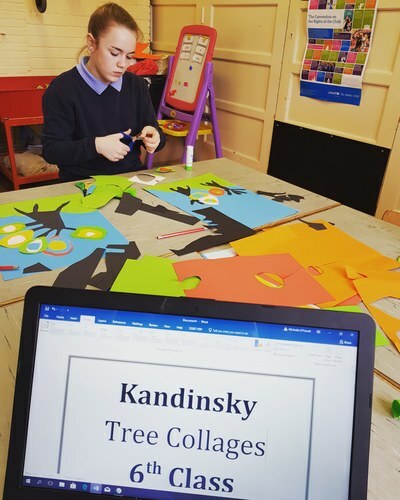 This week our extra activity was a Kandinsky team activity. 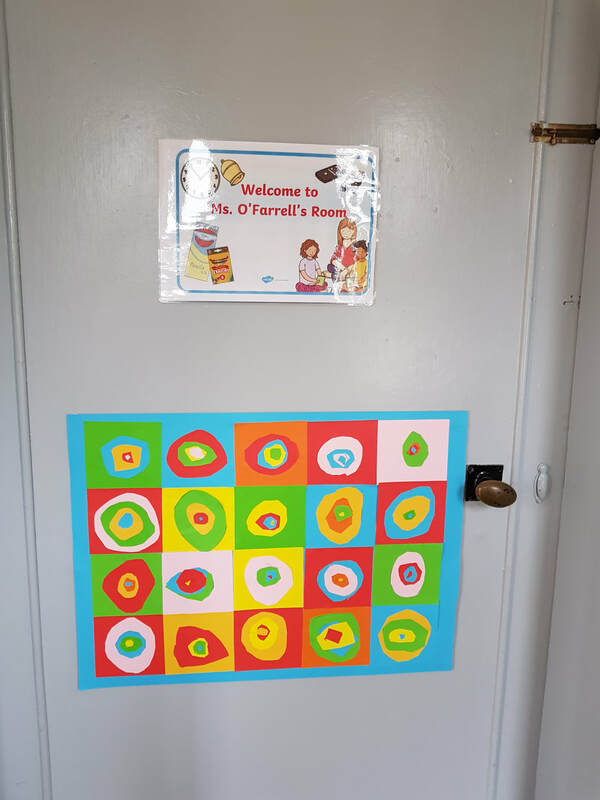 The finished art piece looks great on Ms O'Farrell's door. 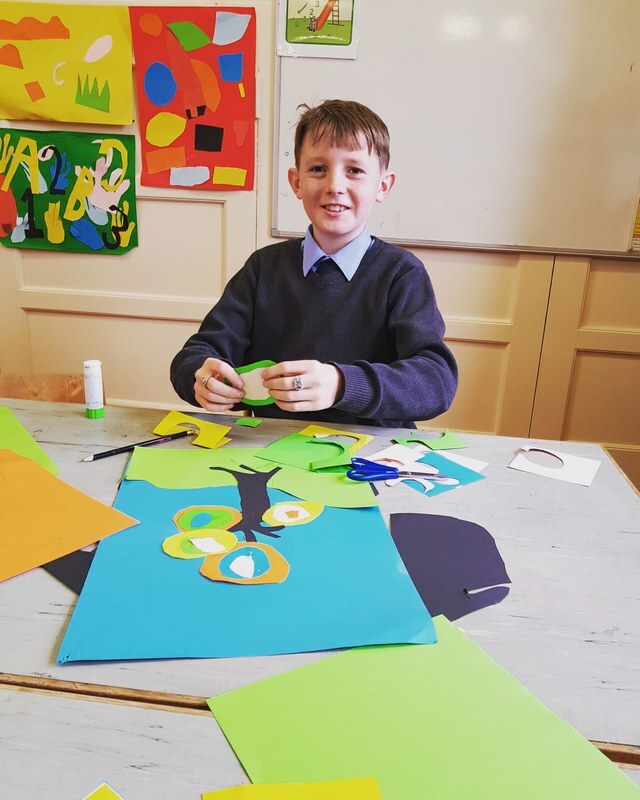 Paper craft fun while we work on our scissors and construction skills.